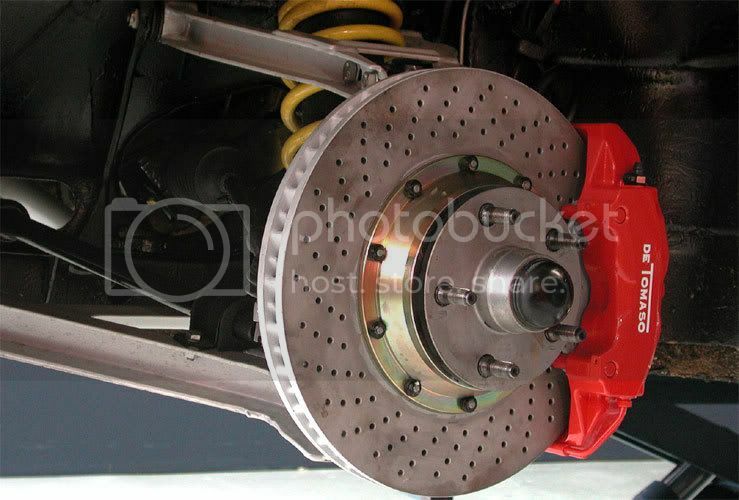 DeTom said: Don't forget the red six piston calipers too, they look just dandy winking out from your wheels too. 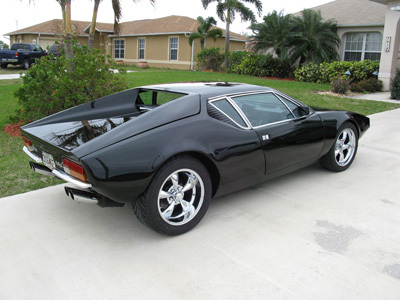 ...Yes, Brembo's with the De Tomaso script like the Si's and not forgetting drilled rotors of course. Any wide bodied cars with Wilkinson's 6" dished 10-spokes on the rear and 4" dished up front all painted in campag grey? I'm sure many of you know this Aus Pantera. Wheels were custom made there. Police radar. Covers all the planets in our solar system. I never got a single speeding ticket on Mars, yet. ; V* Capri aren't those tires the Nitto INVO's ? These are Team III wheels. Five lugs, with lug covers that are held on by knockoffs. Looks a lot like the real deal. These will be going up for sale shortly btw. Going with fender flares and new offsets. Going with fender flares and new offsets. Say it isn't so Chris! Your car is so beautiful as it is. Lean and mean, just as God and Tom Tjaarda intended. But, it is YOUR car, so make it what you want. Just don't throw away the original fender lips once you cut them out. Someone else (or a future owner of your car) may need them someday to return it to its proper svelte body. Here's a pic I found on the web .Don't know what kind of wheels they are,but man it looks tough!! Hey Sam, good to see you hanging out. Is that your ride? Not very Mopar! For what I wanted they work fine, i just wanted matching tread pattern. Yes bigger brakes would be nice, but it would only be for looks ! the std brakes work fine for me. tyres work fine, however i do not do track days. that look is perfect. love it. What rating do you need for a car that never goes more thn 5 miles from home and hits a max of 25MPH ? Believe it or not, this is the only shot I have that shows my wheels up close-ish. They are 17s and are available from PI Motorsports. I love them and think they will look great in black. 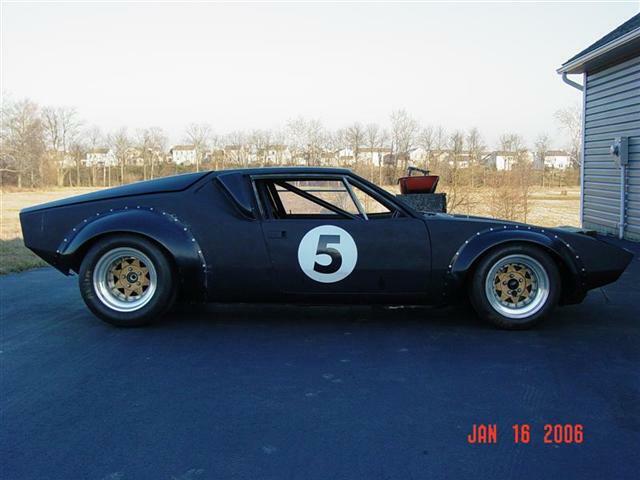 Well Jeff you never know when you might need to choose off on another Pantera with H rated tires!! Hope you and the family have a great new year. I remember reading about about your trials and tribulations getting your car repaired and color changed, but I think that it looks great in the pictures. Wow for sure. There ae some sick cats here. OMG. And the wheels have so much to do with it! Love Ron's Halibrands (aren't they on your GT40 too?) and cybomans crazy 18s, and just about every other set I see here. Some amazing choices. 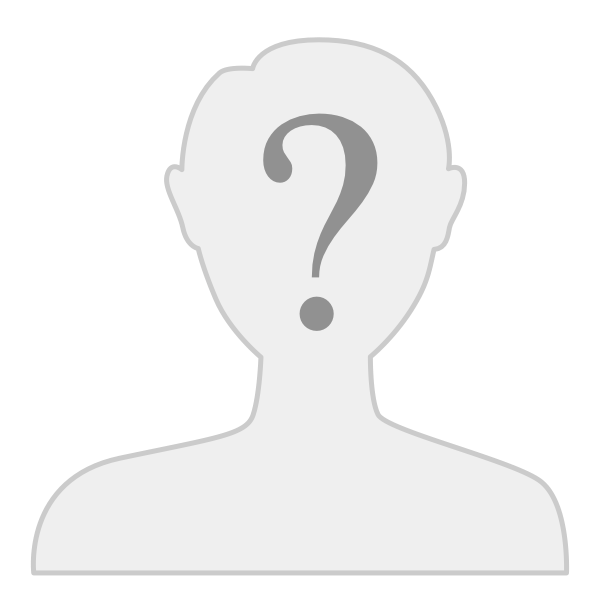 Silly person that I am, I JUST discovered this thread. My eyeballs hurt from boinging in and out so much. Great stuff. As you may recall, I'm a psycho for originality (looks-wise) but I must say, some great stuff here. The Aussie GR4 with the massive Goose style wheels took my breath away. I only have the Campy 8s and 10s, downright pedestrian in this group, but what can I say? 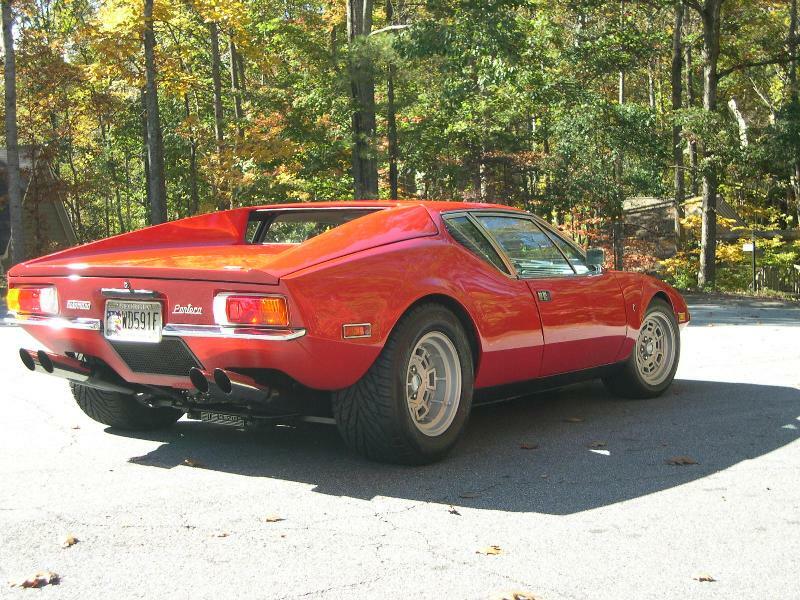 Not nice wheels, I agree on that, but few or noone else I have seen (on a Pantera) looks as racy as these ones. So if you want to go for the race-track/sports-racer look this is a good one! 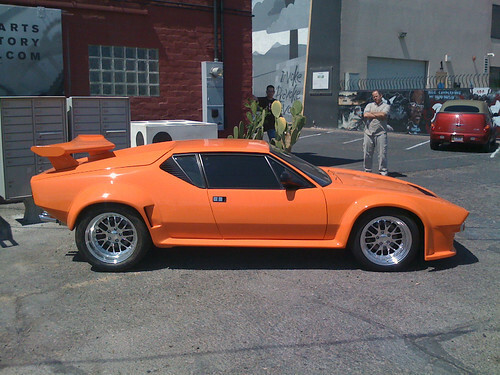 Now just think about this -- you're at Riverside in the seventies and people are going down the quarter mile and this guy pulls up to the tree with this car -- while everyone else has GTOs, Chevelles, Mustangs -- you see where I am going with this. So in that light -- the Goodyear Eagles may not be right for the street, but damn, on the quarter mile track is where it is at. on the quarter mile track is where it is at. Wellll, yes in that light I guess it works. 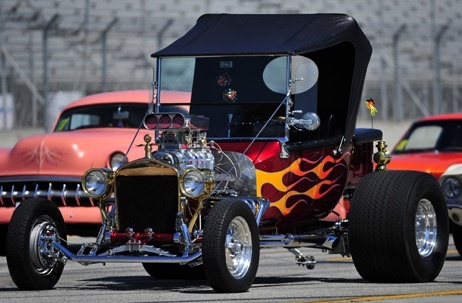 Big and littles do always work on a T-Bucket - but this ain't no T-Bucket.. 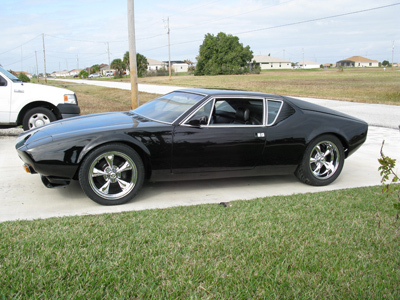 I have never seen a set of rims for a Pantera I actually like other then the 15" Camp's and the Gr4 racing wheels. To me the larger rim has never looked right on the car. The way rims are built today just don't give the depth old cast wheels did and many of the shiny wheels today look like MR T's jewelry and I simply can't get my head around them. They make me think of "Autozone". I would love to see a 15-16" cast wheel with some of the original depth campy or not. While I like alot of the wheels on our cars, the Campy clones do it for me. 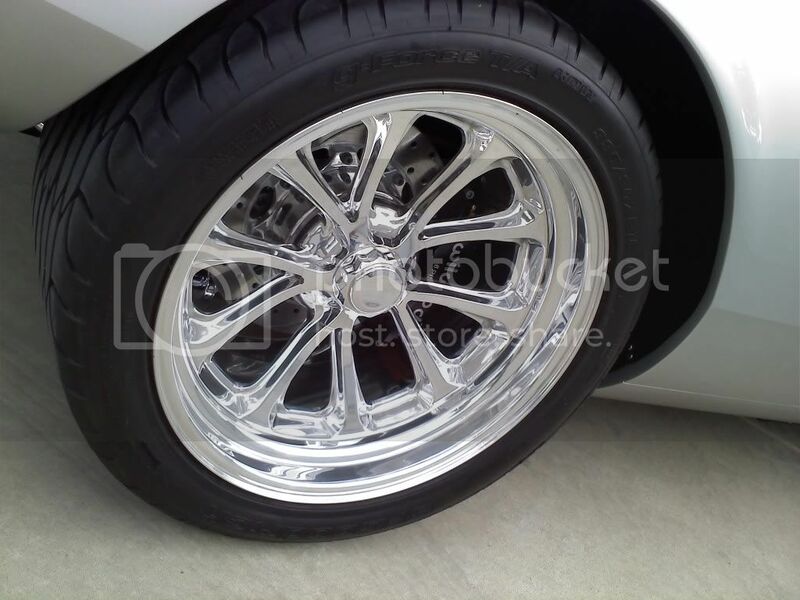 Like Pantera East Says "a beautiful car deserves beautiful wheels." 16's and 17's/Polished and actually made when Boyd was alive. I am concerned that the fronts will have tire rub and the rears I would like a deep dish rim that pushes the tire to the wheel lip. Can anyone suggest proper back spacing for the rims? Welcome here Q-K. There are lots of various wheel options and threads here. If you search "wheel offset" using the forum search, you will find a wealth of information that will likely impact your decision. The best approach might be to find the car that looks exactly how you want yours to appear and ask that owner for his wheel details. Personal preference plays a huge amount, as of course does proper fit. Too wide will cause issues on the fronts (not so much an issue on the rears), but what you propose should be fine. The rears you plan may be on the narrow side considering many of us are running anything from 295 up to 335 widths (I have 295/50/15 on 10" wide Campys plus a set of 335/35/17 on 11" wide repro wheels and both fit the rear perfectly, especially when the stock spacers are removed from the springs. Please start a thread with some details and photos of your car. It looks pretty nice from the avatar. Mark, Thank you for the welcome and the lead to the information on back spacing. I found a couple threads that I will be reading through to figure out what will fit best. Also just learning about removing the shock spacer. Seems like a nice option for dropping the car a bit. I'll put some new rims on before posting pics, maybe in a week or two. 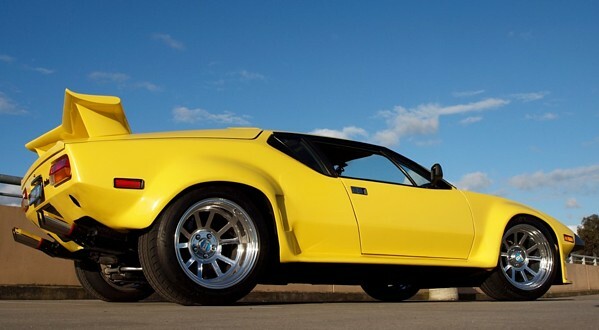 First, some (maybe most) Panteras are slightly asymmetric: the front suspension construction may cause a right side wheel to protrude as much as an inch outside the fender, while the same wheel will be slightly INSIDE the left fender. This is also influenced by what shocks and springs the car has, whether the OEM DOT headlight-height spacers are in place or have been removed, whether the car normally carries a passenger and/or 100 lbs of cargo -e.g- the ride height has been altered, plus your driving habits: do you make sharp turns at moderate speeds as in autocross, or are you more of an around-town driver? If you routinely use the car's top end capabilties (150-170 mph), it's recommended to add roughly twice the max-possible caster in the front suspension for stability. This pulls both tire tops backward as much as 1/2", which changes all the above contact points- some for the better, some worse. 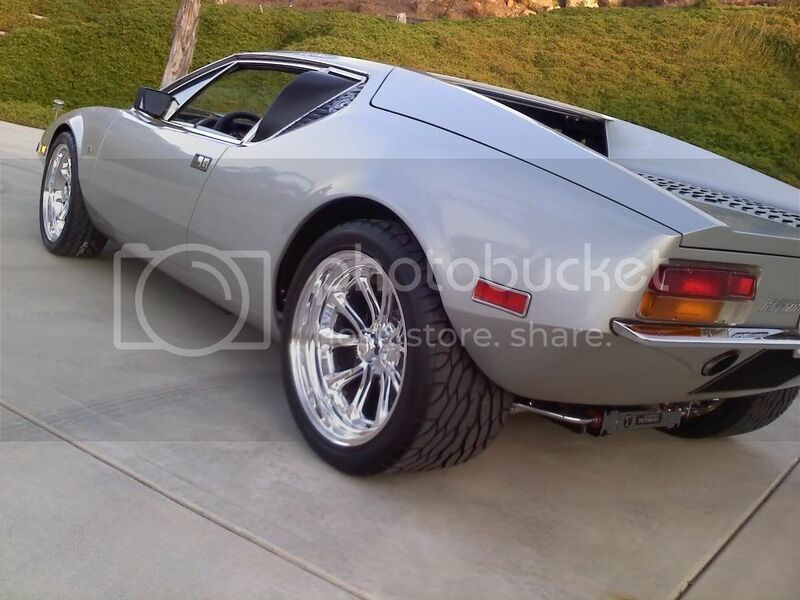 So do not buy any wheel unless you get return privileges if it doesn't fit your particular Pantera and you're not willing to make a little clearance in a number of areas. Normally, mounting a tire voids the return possibilities of any wheel, even if the car never rolls a ft, on it. I like how they fill the wheel arches without the wagon wheel look. My version of a modern group 4 wheel. 18x12 rears with 335 tire. 17x8 front. From Pantera East. Fronts 11" and rears 13". Front backspacing is incorrect by 1 1/4" requiring spacers. Car would be much better to drive if it had a 9" front wheel with the correct back spacing.